Today, I will talk about Enya video documentaries as promised. There are just a handful so it should be easy to get them all, right? Haha! Both of these contain a documentary on Enya entitled ‘A Life in Music‘ in which Enya, Nicky and Roma explain their working proccess and talk about the beginning of their career. This 20-minute interview was recorded at Humewood Castle near Dublin around the time of ‘A Day without Rain’ release. I’d say that it is the basic interview to watch if you want to learn about Enya and the Trio. Moreover, it contains my favourite story about how Enya first found out that ‘Orinoco Flow’ was going to be successful. The dvds also include making of documentaries about ‘Only Time’ and ‘Caribbean Blue’ videos. Contrary to all the other releases presented so far, this is a promotional item. 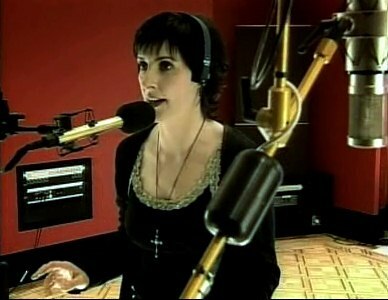 Originally, it was released to support Enya’s nomination for the 2002 Grammy Award in the ‘Best New Age Album’ category. There are quite a few copies in circulation so it isn’t absolutely unlikely that you’ll see one. The cover is very pretty and the overall packaging is nicer than for some commercial releases. It was worth the effort, Enya won the Grammy after all! The dvd contains a different edit of ‘A Life in Music’ with additional footage where Enya talks about ‘Fallen Embers’ and ‘Tempus Vernum’. You can also see her marketing director explaining the ‘Enya’ brand and how they choose locations for Enya’s interviews with journalists. The second feature is the CBS Sunday Morning special about Enya. The host (who is unfortunately not a paragon of politeness) interviews Enya at Aigle Studios, Killiney Hill and her castle grounds. The crew also films during the shooting of the ‘Wild Child’ video. The dvd ends with two performances of ‘Only Time’ recorded for American television. 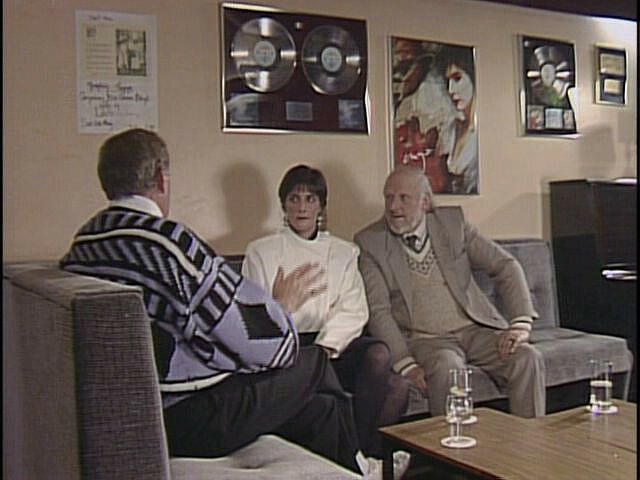 The special features of the dvd-set include a Val Doonican’s 1989 interview with Enya. Enya talks about ‘Watermark’ and her music while walking in the Donegal countryside. There is also a short part with her dad at his pub in Gweedore. Even though I prefer physical releases, sometimes it just isn’t possible. The following two documentaries can be purchased only online. Or you can watch them for free on Enya’s official website and Warner Music mirrors. In this short interview recorded at Aigle Studios, Enya talks about Christmas and presents her four newly recorded pieces. Can be purchased separately on iTunes. Yay! This is a track by track guide to ‘And Winter Came…’ on which Enya, Roma and Nicky explain the inspiration behind the songs on the album. Roma totally steals the show here when she talks about One Toy Soldier’s happy ending and Nicky’s little wish coming true. You need to watch this video if you haven’t already. The documentry has two versions. The 12:09 version that is available for legal streaming all over the Internet and the 12:45 version that you get only if you purchase the entire ‘And Winter Came…’ digital album on iTunes. Hurray for Warner’s marketing department! I have seen both and for the life of me couldn’t tell you what the difference is. But it’s still nice to have the video in high quality sitting on your harddisk. i really wanna see And Winter Came EPK !! I love all these documentaries except i have never really seen the grammy epk one, i would do anything to get my hands on it :) I have all of enya’s dvds and cd’s except that one really and love the and winter epk too its so warm and festive and suits enya all over. have you seen the great 2 minute sizzle reel trailer/advert for and winter came that goes with the epk on her official website? Hi Dani, do you mean the videos or the dvd itself? As for the videos, the CBS special is on YT and a big part of the alternative Life in Music is here. However, I can’t help you with the dvd right now. I got it from Gemm.com for 25 dollars a few months ago, I think that it was listed as “A Day Without Rain EPK”. They have no copies at the moment. I love AWC EPK too, I agree that it is very warm and lovely to watch. The advert is great too. hi lucia yes the dvd of the adwr epk? what is exactly on it? i cant get it anywhere. Basically yes, it’s the same interview + FE, TV and Enya and her promo manager talking about Humewood castle (very briefly).